Working with owl themes again . These characters are needle books made from wool felt. Inside the pages are “eggs”. 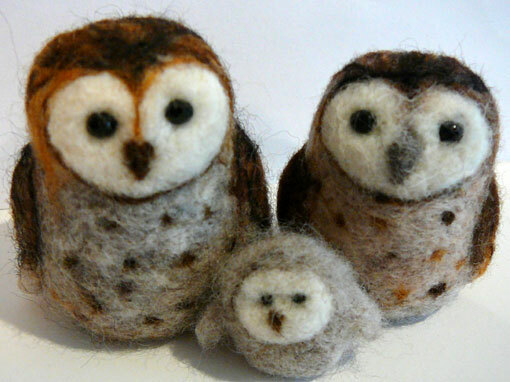 Working again too with the felting needle to create this family group. 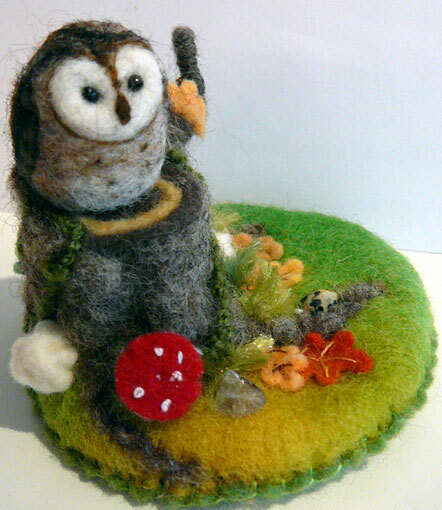 Another recent endeavour was this small woodland scene made from wool felt . the “rocks” are tiny crystals. These are so adorable! Especially love the Owl Scape! 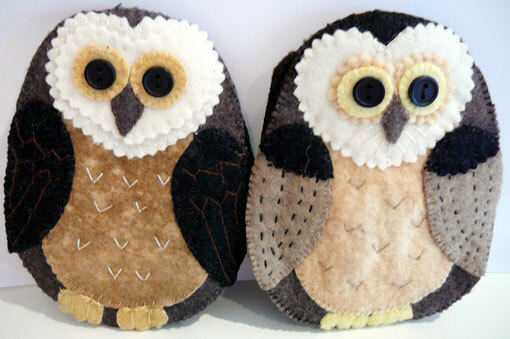 I love your needle felted owls, so much character! Your woodland scene is beautiful. Thank you, – i very much enjoy your work. So adorable. I can’t pick a favorite.